We offer our guests the best food, with the cuisine of this facility, prepared by the cooks one by one. Please enjoy as relaxing memories of the trip. Super sized meals are devising ingenuity while using local items. 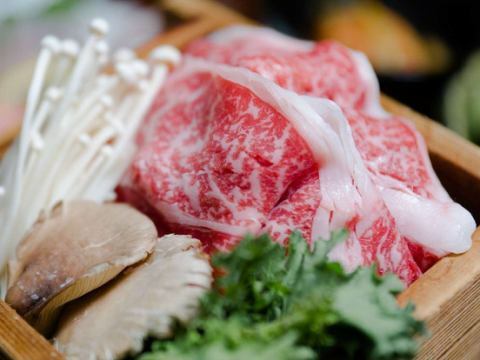 The main meat dish using mellow and high-quality Japanese beef "Shinshu Beef grown with apples", local mountain vegetables and rock fish, etc. are devised, and it keeps in mind the menu which is not ordinary. In spring, a dish incorporating seasonal delicious "Yamana", and in June, a dish of "Nemagaridake(bamboo shoots)" in early summer. 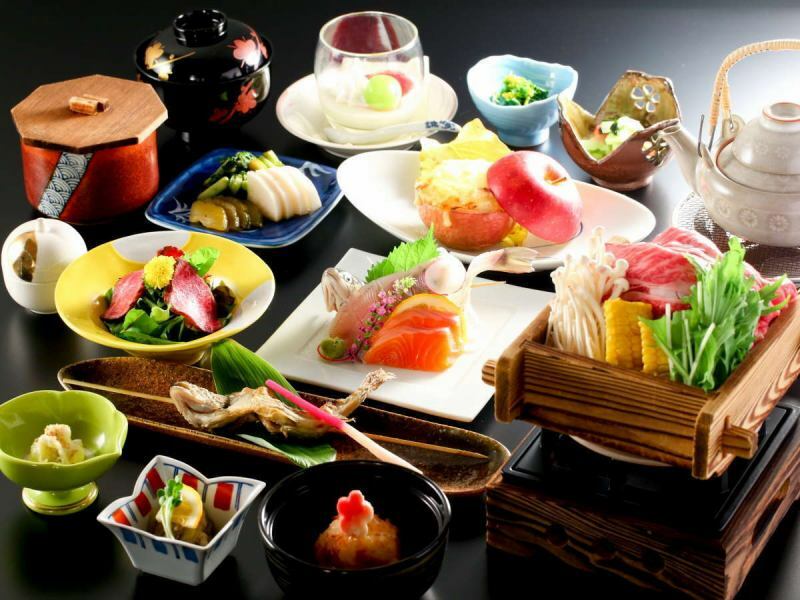 Please enjoy Keikoku-no-yu of the Keikoku-no-yu with plenty of local seasonal ingredients. 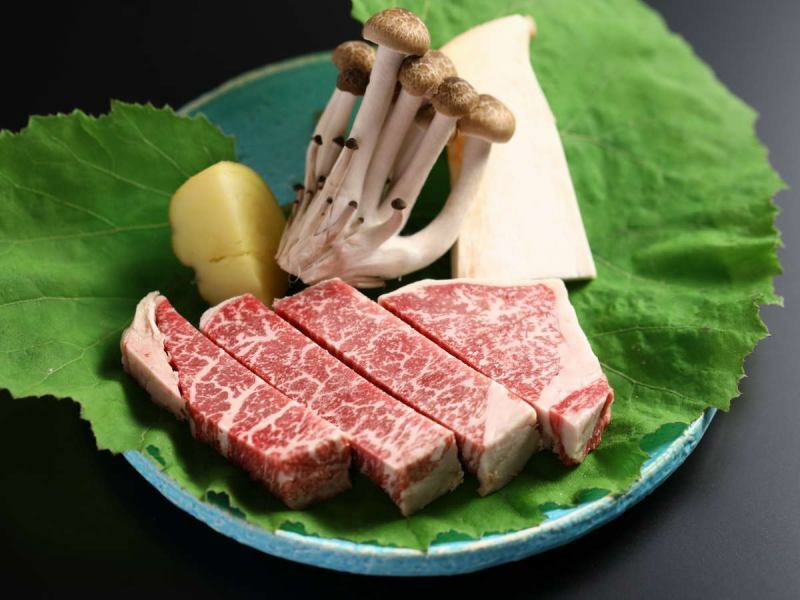 In the main grade UP top quality plan, we offer fillets of mellow and high-quality Japanese beef "Shinshu Beef grown with apples". 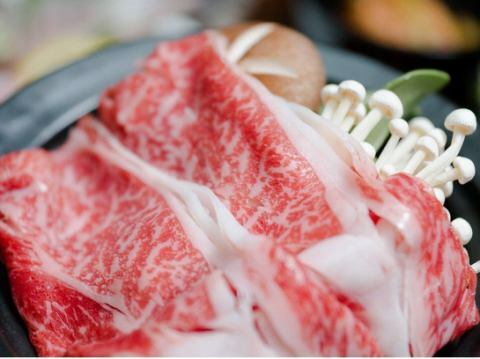 Please enjoy the deliciousness of Shinshu Beef you know. I also recommend it to the first time. Please serve Shinshu Beef sirloin broiled in a water stove. 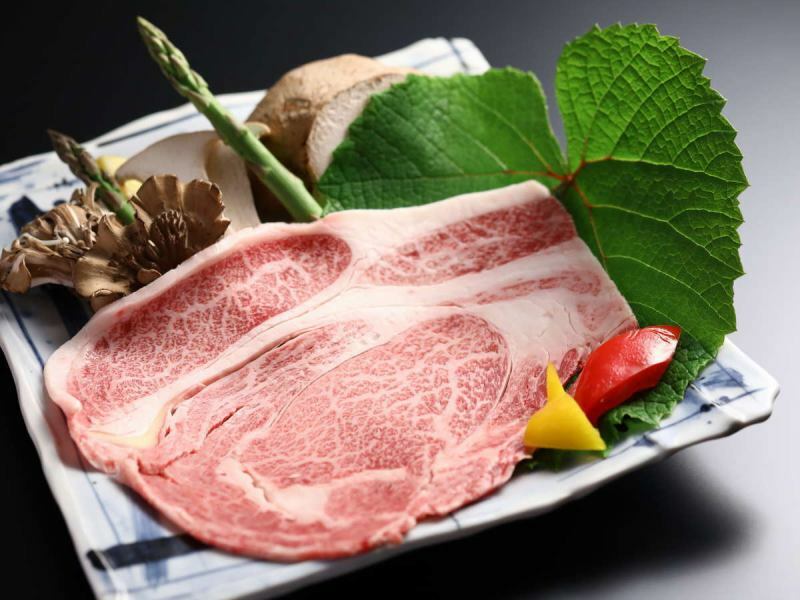 The main grade UP plan offers Shinshu premium beef rib roast "water stove grilled". 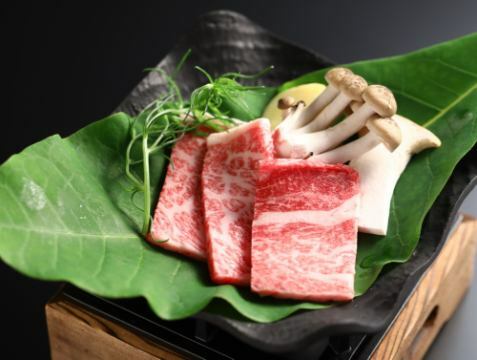 Please eat Shinshu premium beef with beautiful sashi. The content of the pot is "Haya soba (buckwheat)"
A delicious breakfast made from fresh local vegetables and Shinshu ingredients. Homemade Koshihikari (rice) rice cooked plumply. We offer healthy breakfast that is kind to your body and mind. "Sukiyaki" of Shinshu Beef grown with apples, one of the meat dishes of the main cooking plan can choose. "Sukiyaki" is a sweet and fragrant roasted custard grilled with excellent sauce. You can enjoy the deliciousness of the original meat ingredients. 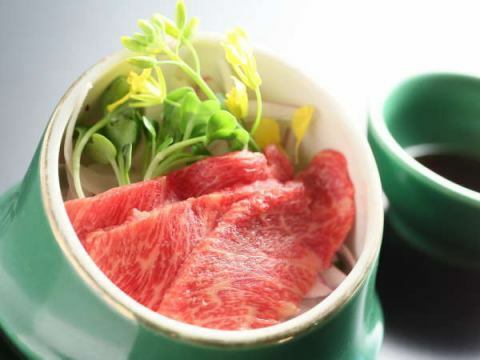 One of the meat dishes of the main cooking plan can choose, Shinshu Beef grown with apples, "Sairo steamed". 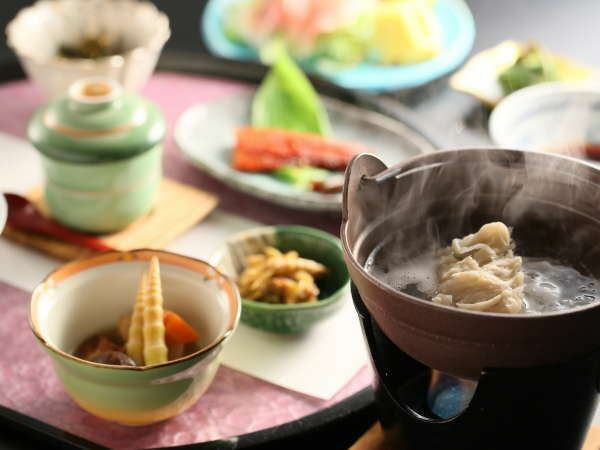 The plump juicy, steamed Shinshu Beef flavor. Shinshu Beef"calbi grilled" grown on apples is one of the meat dishes of the main cooking plan can choose. You can enjoy the soft and thick taste. Shiga Kogen Beer with draft beer! Serve with a drink for dinner. 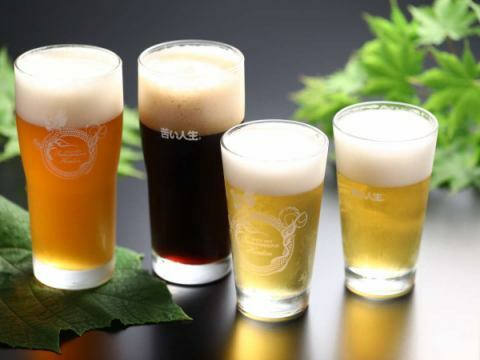 Shiga Kogen Beer drink comparison plan also available. 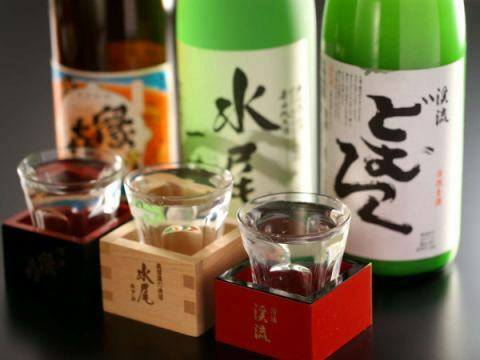 We have a stock of fine sake and fine sake. Serve dinner with a drink. It is an elegant taste with a good balance of fat and red meat. We accept it in a bespoke order.